Protect your horse’s back as well as yours with the technology of T3 Performance Pads. The T3 Matrix Western Pad features impact protection inserts to safeguard your athlete. Full length Ortho-Impact inserts feature a ¼” layer of impact absorbing Poron XRD® foam bonded to a ½” layer of memory foam. This insert is perfect for those looking to offer impact protection with additional cushioning and saddle stabilization. A tough yet breathable military-grade nylon topper and compression-resistant felt lining keep the saddle securely in place. 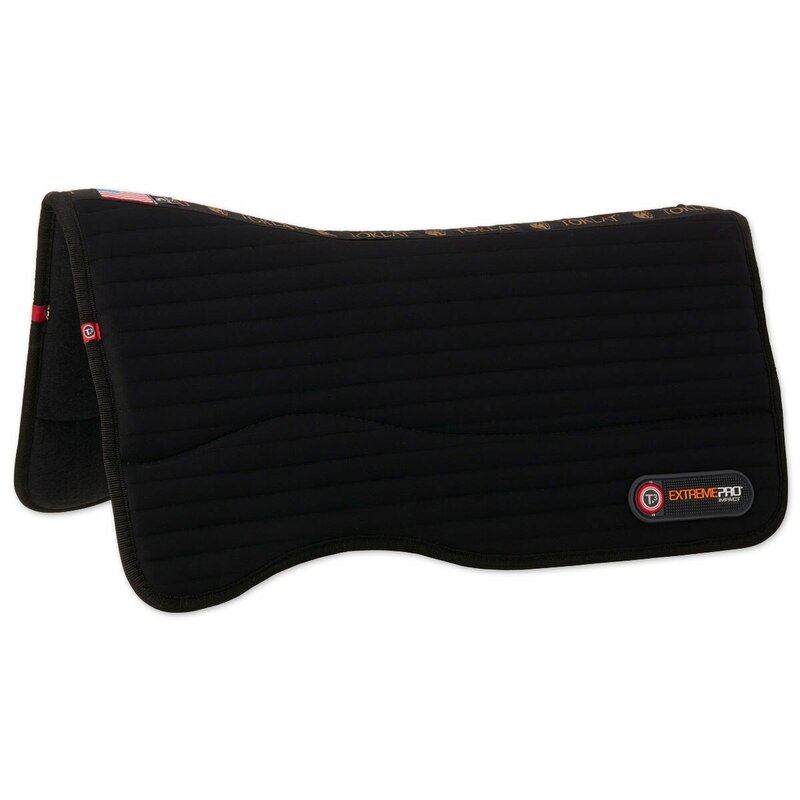 This closely fitted pad prevents excess material from compromising the horse’s natural range of motion. An ergonomic cut-out offers a close contact feel, while a high profile design offers optimum wither clearance. Designed to be used by itself or underneath a woven blanket. Inserts removable through Velcro® spinal closure. An ergonomic cut-out allows for a close contact feel, and a high profile design offers optimum wither clearance. Special Features Full length Ortho-Impact inserts with additional cushioning and saddle stabilization. Toklat T3 Matrix Felt Performance Pad is rated 5.0 out of 5 by 2. Rated 5 out of 5 by Cindy from Hunter Jumper rider loves this Western pad! My hunter was coming out with a sore back even though her saddle was custom made for her and has been fitted appropriately by a great saddle fitter. I used this pad for two weeks and her soreness is gone. Will continue to school her in it from now on. Huge thumbs up! 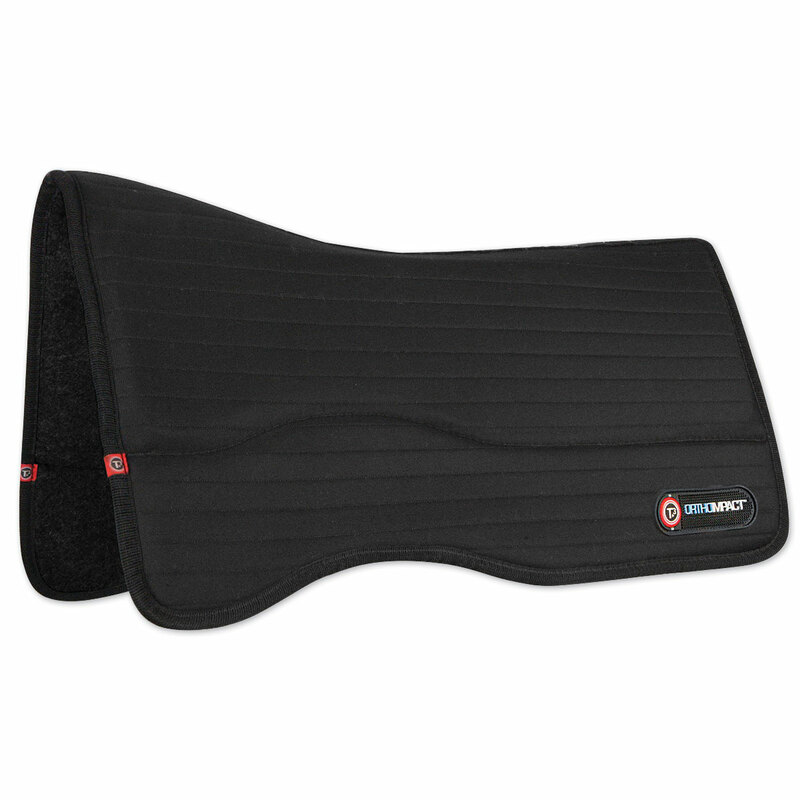 Rated 5 out of 5 by Lacey from High quality, protects my horse's back I have been using this saddle pad for about 4 months now, and I love it. I am a beginning bordering on novice rider and have been taking weekly riding lessons with my 11 year old Appaloosa, who was out of work and out of shape when I got him 4 months ago. In addition to our weekly riding lesson we go trail riding about 1x per month (5-9 mile rides), and school in the arena 2-3 times per week (30-40 minute sessions). Even with my work-in-progress posting trot, his back hasn't been sore at all since I started getting him back into shape 3 months ago! Highly recommend this pad.